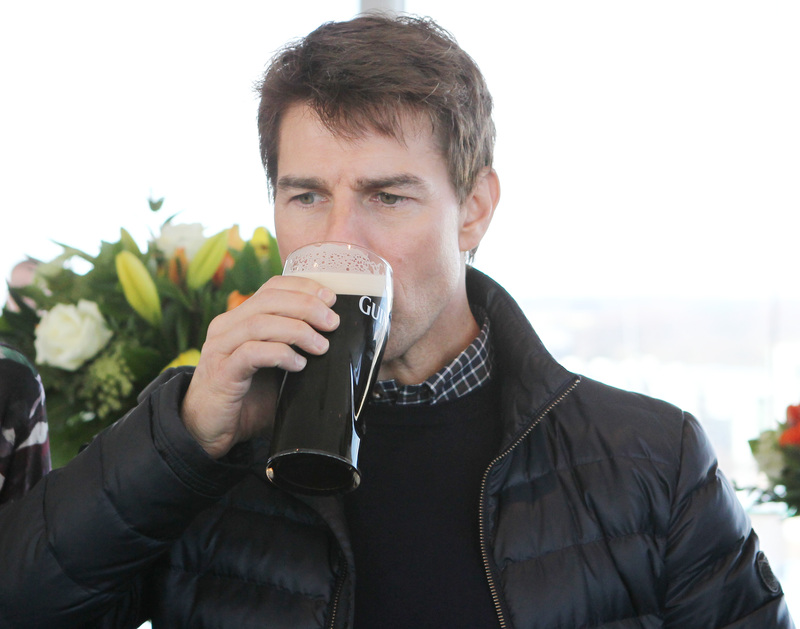 Dublin – On Wednesday afternoon, the Guinness Storehouse (the Guinness brewery in Dublin, Ireland) rolled out the red carpet to welcome one of the world’s most famous actors in history, Tom Cruise. Cruise jetted into Dublin as part his worldwide tour for his latest movie, “Oblivion” accompanied by highly acclaimed Director Joseph Kosinski and the lead lady in Oblivion, former Bond girl, Olga Kurylenkoe. 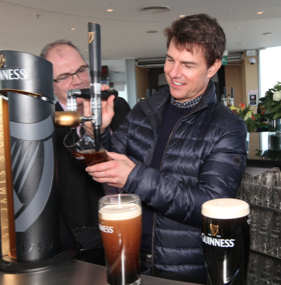 The group was treated to a private tour of the Guinness Brewery and Tom received a one-on-one session with Master Brewer Fergal Murray to learn how to pour the perfect pint of Guinness.